Next to Valdivia and Prass, Alan Kardec is considered the spinal core of the Palmeiras squad. Or rather, was: Kardec is expected to sign with São Paulo FC later this week for a whopping US$155.000 a month. 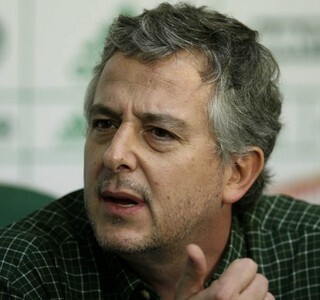 Today, Palmeiras president Paulo Nobre held a press conference, confirming that our archenemy had swept the bride from the altar. How come one of the most popular and important players in the squad, apparently devoted to Palmeiras and with a clearly expressed desire to renew his contract, jumped the fence? The answer is spelled Paulo Nobre. No secret Nobre is all about sound, financial austerity: he inherited Palmeiras with already 75% of the 2013 revenues compromised and has made it a priority during his two-year mandate to remedy the Club’s more than precarious financial and administrative condition. All new player contracts and renovations during the Nobre administration have been carefully conducted with the aim of not overshooting budget. No different with Kardec. The information I have is that Palmeiras were initially offering Kardec some US$75.000 a month in addition to extra revenues based on productivity and achieved goals. This is certainly lower than Kardec, his dad and a second agent involved in the negotiations were expecting. During several weeks, the parts were slowly moving closer, but the negotiations were indeed dragging out, just as they did with those involving Kleina and Leandro. About a month ago, an agreement was finally reached between Kardec, the agents and Palmeiras’ director of football José Carlos Brunoro: a five-year contract at US$98.000 a month plus the variable revenues. The agreement was brought before Nobre for ratification, but Nobre said no. He wanted to shave off another US$9.000 a month, which would amount to a little more than half a million dollars for the whole extension of the contract. That is quite a lot of money, at least for you and me. However, it’s peanuts considering the larger picture, and peanuts considering Palmeiras’ payroll. Nobre’s veto turned a done deal into an open affair, infuriating Kardec senior: the players’ father went to the press complaining about the difficult negotiation and said he would now consider other options. That was enough for SPFC to move in on Kardec senior and the agent, offering them double signing bonuses in addition to raising the salary offer to Kardec the player from US$98.000 to US$155.000. Kardec senior didn’t think twice and gave the director his word: my son is signing with SPFC. As the tables turned, Paulo Nobre must have started sweating bullets. He faced two options: a) cover SPFC’s offer, completely overshooting his budget and destabilising the carefully crafted and implemented scheme with salary based on productivity, or b) let Kardec go, lose face, severely scratch Palmeiras’ image, weaken the squad and infuriate supporters. Is Kardec worth US$155.000 a month? Most sports journalists would flat out state that he is not. But at this point, the decision was no longer a technical one, but also very much emotional. I believe Paulo Nobre was prepared to go out of his way to reel Kardec back in. Not that if would make any difference: when finally able to speak to the player – who had been sheltered for days by his father and agent – Kardec junior told Nobre that his father had reached a verbal agreement with São Paulo FC and the only way he now could sign with Palmeiras would be if he fired his own father. Curtains down. At today’s press conference, Nobre highlighted SPFC’s “unethical behaviour”. Our president needs a reality check. Not only is he a fool if he didn’t see it coming, as he brought it upon himself. It’s difficult to understand how Nobre could veto a reached agreement involving one of the most important players in the squad because of a US$9.000 monthly difference, not foreseeing the ultimate consequences of his, yes, gamble. Making things worse, it’s not only about Kardec. Palmeiras is a house of cards. The squad was different against Fluminense last Saturday – nervous, introvert, lost – and Palmeiras were beaten fair and square by the one goal at the Pacaembu. Some 12.000 supporters were present: very low numbers considering a home debut return to the first division. Criticism against the Nobre administration on social media has been massive these last few days. There are supporters cancelling their Avanti memberships (which is simply beyond me). Opposition candidates are breathing fresh air. The whole affair could eventually tip the scale in disfavour of Nobre’s re-election (if he opts for running, that is). 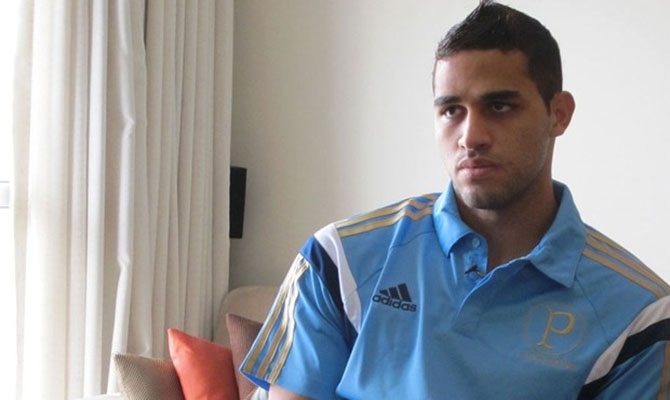 In my mind, I believe Palmeiras would (still) be worse off without Nobre in the drivers’ seat. But that all comes down to an ability to not only recognise one’s mistakes but also learn from them. With Nobre’s press conference fresh in my mind, I wonder: is he recognising his mistake? Will he learn from it? Will time tell? Next Flamengo 4-2 Palmeiras – how long will Kleina resist? Kardec é um mercenário, O Palmeiras não precisa dele, somos o maior campeão do Brasil. Well done, Kristian. At the end, this was Nobre’s fault. so that nobody will ever forget it again. Loud and clear. Perfect review! Well, it’s difficult to say if it’s right or not to let Kardec go, but in my humble opinion it was a good decision. We can not afford this amount of money and that’s it. It’s not a shock of reality for supporters, or at least it shouldn’t be. We’ve seen Barcos leave as well. The thing is: when one says about austerity, everybody goes with the flow, but when one has to really face it, all this fuss happens. We don’t have money for now. It’s sad, but true. Get used to it.